Facilities for training clinics and sail events. Stay, sail and train at the Aarhus International Sailing Center (DEN). If you are looking for the perfect venue for your next personal training or team training clinic you need to look no further – the Aarhus International Sailing Center offers you the perfect combination of a state-of-the-art sailing facilities, direct access to some of the best sailing waters in the World, a world-class elite sailing community and the cosiness and charm of the City of Aarhus. Download our leaflet to learn more about all our offers and scroll down to read the rest of the text. 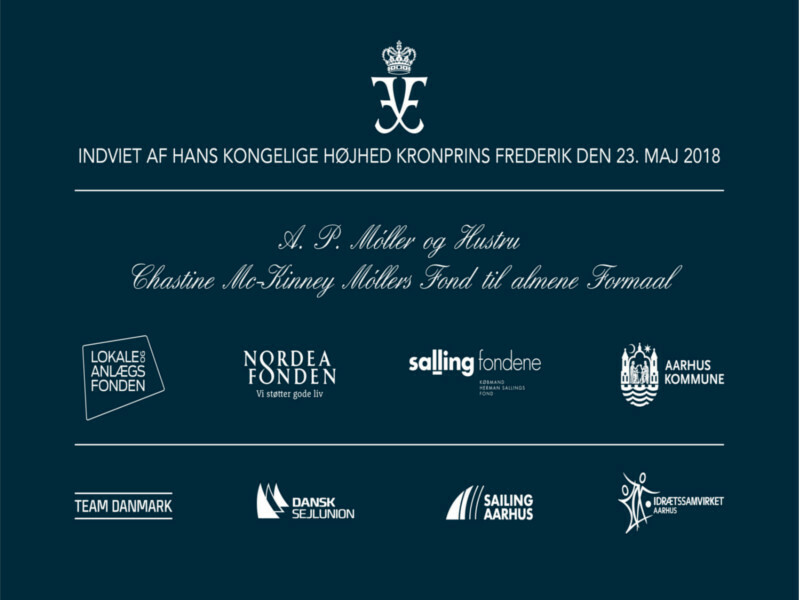 Aarhus is well known by all sailors as the venue of the 2018 Hempel Sailing World Championships and before this Aarhus has hosted a vast number international sailing events such as the 2018 Volvo Ocean Race Fly By, Nacra 17 Worlds, Laser Standard and Radial plus 470 Euros, 49er and 29er Worlds, M32 and WMRT acts and many, many more. The Aarhus International Sailing Center is one of only six World Sailing Approved Training Centers and is the home of the Danish National Olympic Sailing Team. The Bay of Aarhus is the ideal sailing area for racing, with limited tidal waters, plenty of space, only little commercial traffic and winds between 2 and 25 knots, predominately from W-SW – never to rough and rarely to little – and the mild climate and well protected waters makes it possible to sail almost all year. Aarhus is centrally located in the middle of Northern Europe and a mere 250 km from Kiel (GER) with direct, toll-free highway access. Situated in the Aarhus Ø area, the Aarhus International Sailing Center combines the isolation and tranquility required for pre-competition training with the proximity to the heart of Aarhus, with all the city’s vast range of cultural and culinary choices, vibrant nightlife and cheap and cosy AirBnB appartements. The chance of a perfect stay is huge. The Aarhus International Sailing Center regularly hosts national and international events and training camps, so you will be able to combine your training stay with a regatta as well. If you need further information please do not hesitate in contacting us.